So you are wondering how to buy Zilliqa easily? If that’s the case, then this is your guide. Zilliqa is still a fairly new cryptocurrency that is not listed on many of the major exchanges yet. This makes a guide showing you how and where to buy Zilliqa very valuable. Anyhow, without further ado, let’s dive right into this ZIL purchase guide! Binance is the largest, and according to a recent poll, also the most trusted cryptocurrency exchange. The key difference to exchanges like Coinbase is that on Binance you can only buy cryptocurrencies by using Bitcoin or Ether. Binance is not only easy to use, but it is also very safe and fast in processing transactions. At the time of writing, this exchange is also the largest market for Zilliqa (ZIL), meaning that you can even buy a large quantity of ZIL without affecting the price too much. Important: This guide assumes that you already have some Bitcoin or Ether, which you can then use to buy Zilliqa. If you DON’T have any Bitcoin yet, then you first need to buy some Bitcoin on Coinbase. The first step is to create an account on Binance. This is very straightforward and shouldn’t take you more than 1 minute. 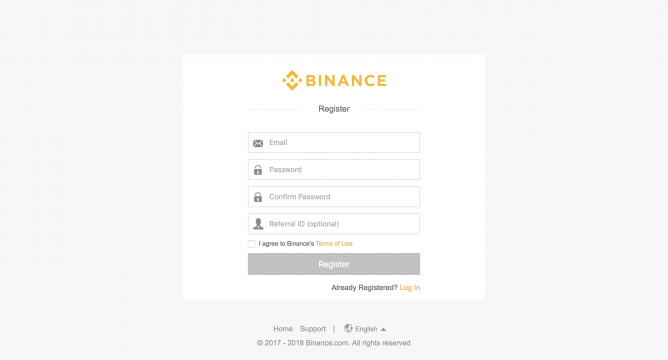 After setting a safe password and confirming your verification email, you are now ready to start using your Binance account. If you want to increase your account’s security, head over to the “settings” page of your Binance profile and activate “2 Factor Authentication”. Now that you finished creating your Binance account, it’s time to deposit some Bitcoin or Ether in order to purchase ZIL. In order to do so, you first need to hover your mouse over the “Funds” tab, and then click on “Balances”. When you’re on the “Balances” page, you now simply need to look for the coin you want to deposit, in this case Bitcoin or Ether, and click “Deposit”. Binance will now show you an address that you need to send your coins to. Ether deposits are usually processed in just a few minutes, Bitcoin deposits may take up to 1 hour when the network is very busy. As soon as your deposit arrives, you are now ready to buy ZIL! 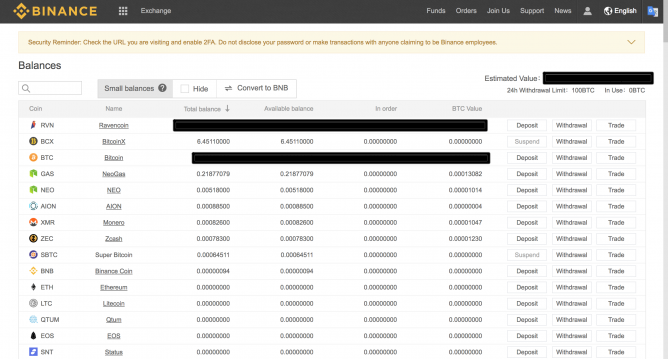 Now you need to go back to the homepage of Binance and look for the trading pair in the coin you deposited. If you deposited Bitcoin, you would look for ZIL/BTC. If you deposited Ether, you would look for ZIL/ETH. After you click on the trading pair of the currency that you deposited, you will see a chart with the price of ZIL. Simply scroll below the chart to the box that says “Buy ZIL”. Then type in the number of ZILs that you want to buy, the price you want to buy at, and click on the “Buy ZIL” button! 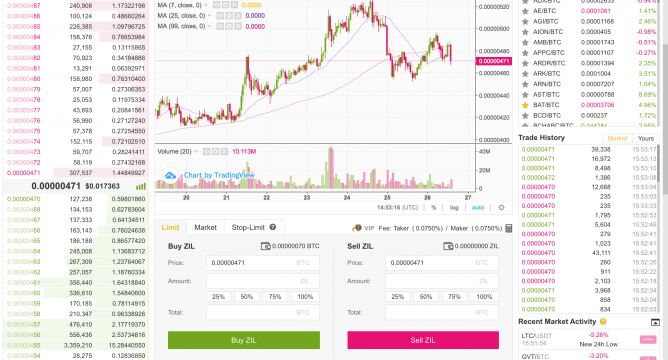 That’s how easy it is to buy Zilliqa on Binance. The ZIL you just bought will now show up on your “Balances” page. For additional security, you can now withdraw your ZIL coins to a wallet. Zilliqa is a high-throughput blockchain that has pioneered the concept of sharding and formal verification in smart contracts. This not only makes Zilliqa the first truly scalable blockchain (thousands of transactions per second) without compromising on decentralization, but it also allows developers to verify that their smart contracts are bug-free and safe to use. Zilliqa’s disruptive technology was a large part of the reason why the ZIL price rallied over 3,000% in the first 3 months after its creation. 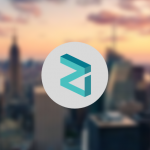 This is what has attracted the intention of many cryptocurrency investors since ZIL is still significantly smaller than other major currencies like Bitcoin or Ethereum, leaving it a lot of potential to the upside. Is it worth it to invest in Zilliqa? Zilliqa is the first platform to implement the concept of sharding on a live network and to actively use formal verification in smart contracts, these two features alone can enable Zilliqa to completely re-shape what blockchain can currently do. As observed with Ethereum in 2017, as the Ethereum platform started gaining more adoption the ETH price also started going parabolic. The price of ETH in its ICO was just below $1, and it reached an all-time high of $1,400 at the time of writing. That’s a 139,000% increase, meaning that if you invested $1,000, you would have been sitting on $1.4 Million. Could Zilliqa follow the same path, or an even better one, if it proves to be far superior to Ethereum? Transactions on Zilliqa have zero-second confirmation time, meaning that after making a transaction on Zilliqa you don’t need to wait a few minutes until it is confirmed by miners on the network. This finally makes it possible to build user-friendly dApps and games with blockchain-based elements. Gas fees (transaction fees) are roughly 100x cheaper on Zilliqa than on Ethereum. This means that if a transaction costs $0.10 on Ethereum, it only costs $0.001 on Zilliqa! This will make Zilliqa the first platform in the world to enable true micro-transactions. Not even PayPal can process transactions below $0.25, Zilliqa could process transactions below $0.01. In essence, Zilliqa can do everything that Ethereum can do, but at a larger scale. This could be an incredibly bullish factor for ZIL. That being said, this is not investment advice and please do your own research. How to store Zilliqa (ZIL) safely? After you bought your ZIL, you may now ask yourself how you can store your coins safely. 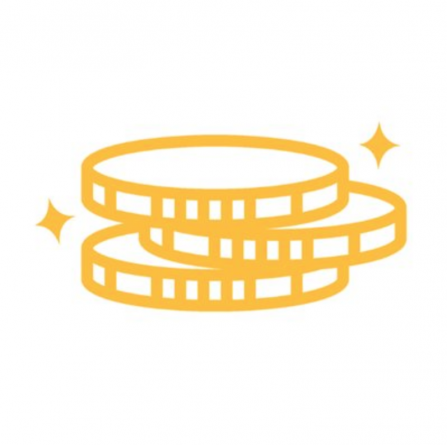 The first security tip is to withdraw your coins from exchanges into an external wallet. 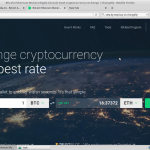 Since ZIL is still an ERC-20 token, you can use MyCrypto.com for this. For additional security, you should consider purchasing a cryptocurrency hardware wallet. We have written a detailed guide on the benefits of cryptocurrency hardware wallets, make sure to check them out if you want to learn more about how you can keep your ZIL safe. What is your favorite way to buy ZIL? Did we miss any important exchange or tip for how to easily buy Zilliqa? Please let us know in the comment section below!